Maxim Integrated recently posted a series of application notes chronicling how there’s more going on than you’d think in even the simplest “passive” components. Nothing’s safe: capacitors, resistors, and even printed circuit boards can all behave in non-ideal ways, and that can bite you in the reflow-oven if you’re not aware of them. You might already know that capacitors have an equivalent series resistance that limits how fast they can discharge, and an equivalent inductance that models departures from ideal behavior at higher frequencies. But did you know that ceramic capacitors can also act like voltage sources, acting piezoelectrically under physical stress? For resistors, you’ll also have to reckon with temperature dependence as well as the same range of piezoelectric and inductance characteristics that capacitors display. 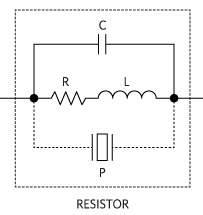 Worse, resistors can display variable resistance under higher voltages, and actually produce a small amount of random noise: Johnson Noise that depends on the value of the resistance. Finally, the third article in the series tackles the PCB, summarizing a lot of potential manufacturing defects to look out for, as well as covering the parasitic capacitance, leakage currents, and frequency dependence that the actual fiberglass layers themselves can introduce into your circuit. If you’re having a feeling of déjà-vu, the same series of articles ran in 2013 in Electronic Design but they’re good enough that we hope you won’t mind the redundant repetition all over again. And if you’re already quibbling with exactly what they mean by “passive”, we feel your pain: they’re really talking about parasitic effects, but we’ll let that slide too. We’re in a giving mood today. [Michael Kleinigger] posted a lengthy discussion on Pulse-Width Modulation that goes beyond the traditional beginner tutorial. 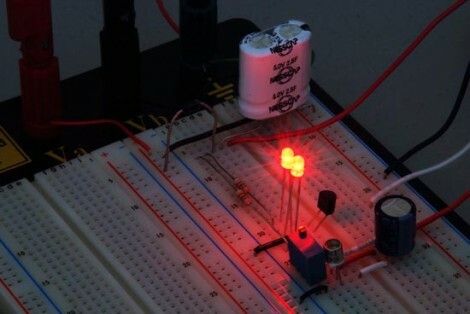 He starts a bit of background info on PWM and a tip about using a camera to judge frequency and duty cycle of LEDs. From there it’s down the rabbit hole with some testing of power-loss versus frequency. When you change from frequencies of 50 Hz to 1 MHz how does the parasitic power loss from switching affect the overall efficiency of the circuit? It turns out there’s a rather large amount of loss at the highest level, around 1.5 mW. The greatest balance of low power loss and elimination of flicker seems to be right in the 300-500 Hz range. Aside from having a very cool name, parasitic power is an innovate way to recapture already spent power. This power can come in the form of wasted heating or cooling of a building for example. Last week the Southern Methodist University activated the first commercial Green Machine from ElectraTherm. The unit recycles residual heat from the building into electricity. So far, the 50kW Green Machine has exceeded expectations. The company also says owners can recoup the units cost after about three years.